Mitchell is the grandparent surname that so far is hardest to trace back. Who is the father of William Lenoir Mitchell Sr., b. 1797 in Rutherford County, Tenn.? Who is my great-great-great-great-grandfather Mitchell? Pretty sure it's one of these four people found in the 1810 census of Rutherford County, Tenn.: Jesse, Mark, Thomas or William. All four of those families had males between the ages of 10-16. William Lenoir would have been about 13 at the time. Can't rule out William, even if that would have made "Brack" Mitchell a III instead of a Jr. It might also be Jesse. That name has appeared in my Mitchell family. I have found one instance that points to William at worldfamilies.net, but can't verify. That William was William M., maybe born in North Carolina in 1770 who married Elizabeth Hunt of Franklin County NC and Wilson County, Tennesee. "Cousin" Frank Mitchell thinks that's not a match for me. I know "Brack" says he came to Texas in 1845 from Dyer County, Tennessee. I find his father, W.L. Mitchell, Sr., in the 1840 Dyer County Census. BTW: I'm beginning to think maybe "Brack's" father didn't have Lenoir as a middle name. Doesn't make any sense. 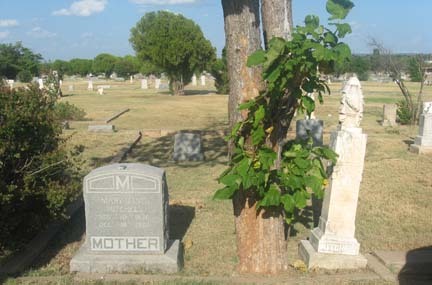 Brack's father, William, married Mary Ann McCulloch, whose own mother's maiden name was Lenoir. Makes sense for her son to have that name, but not her husband. But I guess there could be a Lenoir farther back in the Mitchell family tree. Census numbers: first is under age 10; second is aged 10-16; third is 16-26; fourth is 26-45 and fifth is 45 and up.